Grow Your Audience by Capturing More Emails. Pop-ups that don't get X'd out, but help entrepreneurs collect more emails for their e-commerce business. GrooveJar's set of customizable pop-up tools allow website owners to streamline their website and lead flow. 8 different apps, endless ways to use them. Be More Than Average. Get Those Leads to Come Back. Most websites have a conversion rate of 3% - 97 out of 100 visitors on your website leave and do not make a purchase. With GrooveJar's pop-up apps you'll be able to entice visitors to leave their email before exiting. Then, use our Collect & Convert functionality - a set of triggered emails to get customers to come back and purchase. Meet our most popular pop-up app: GrooveUrgent. Use Collect & Convert, our automated email platform to retarget those customers. Helping you to boost your overall conversion rate. All those emails you've collected with any of our apps will then be put into a sequential automated email campaign to get them to come back to your website and BUY. You can use this alongside your favorite email service provider, too. See integrations. 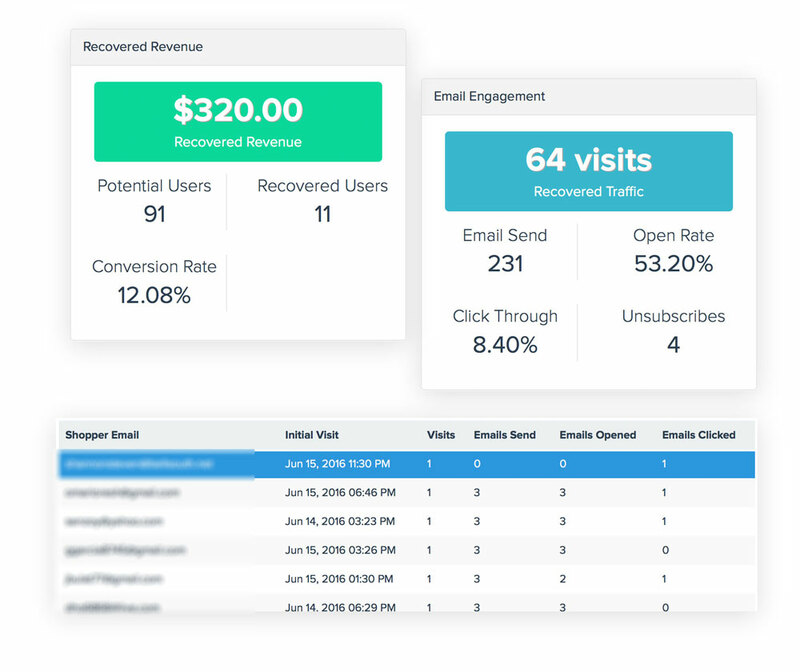 Sit and watch your Revenue Grow in your dashboard. "GrooveJar is AWESOME! After installing it on my Shopify Store, I can’t believe I went so long without this app. It’s an essential tool that’s made a huge difference in my conversion rate. Since starting I’ve recovered over $4,000 in sales and I also collect a ton of Leads every day. I’m impressed!" "It’s been so difficult to find tools that are this useful. As an entrepreneur I spend a lot of time searching for apps to improve my store. GrooveJar is a unique tool and I’m pumped to have found it! Our company now has a 12% email conversion rate and our conversion rate has grown significantly since we started using this tool. I strongly recommend it to any company that’s serious about growth." Free for 7 Days. We guarantee results in this short period of time. Try us and start Growing your Revenue today. Copyright 2017 All Rights Reserved. Copyright Groovejar.